With a diverse range of dedicated software features and hardware accessories to choose from, adapting your FANUC laser system to suit your own specific requirements is surprisingly easy - no matter how challenging your application might be. Giving you the power to create the ideal setup, these options provide tangible benefits in the form of optimal cycle times and tailored precision. 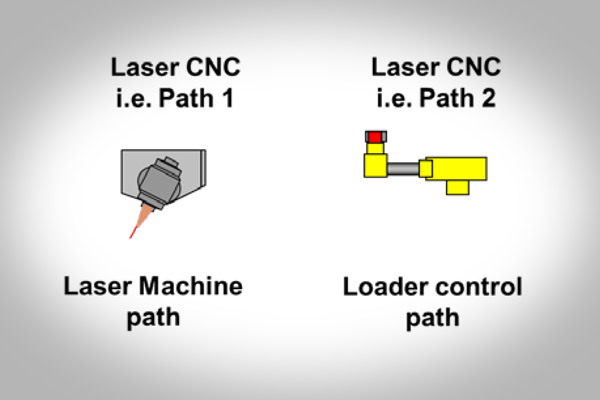 On laser cutting machines equipped with a detector that measures the distance from the nozzle to the workpiece surface, FANUC’s Gap Control function relays the detector signal to the CNC via a dedicated interface. The FANUC CNC then processes the signal, enabling extremely precise gap control using the machine's Z-axis. 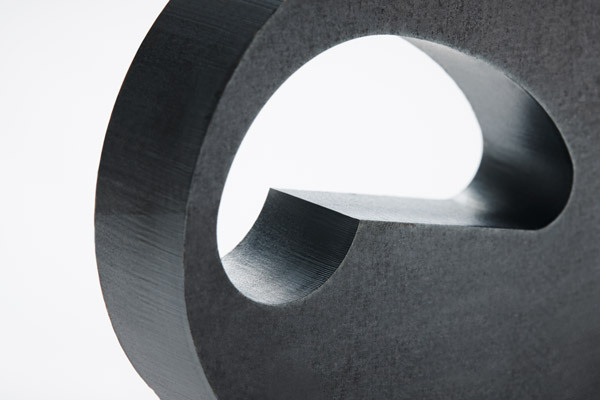 Gap Control improves cutting and closer control of the gap between the nozzle and the workpiece. 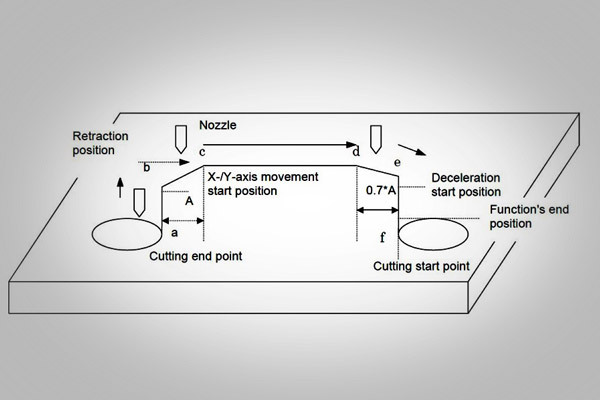 FANUC's Automatic Gap Control Axis Retraction and Approaching feature enables automatic retraction along the gap control axis during a positioning operation from the end point of the current cutting point to the next cutting point along the X-/Y-axis. It also makes it possible to approach the workpiece along the gap control axis while, simultaneously, approaching the next cutting point along the X-/Y-axis, without cancelling the gap control mode. Hence, the next cutting phase can be started. 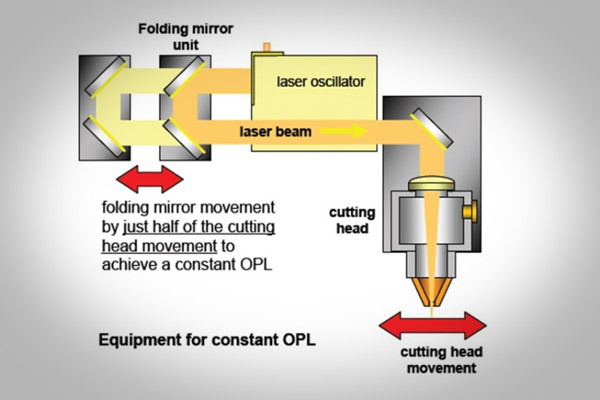 This feature tailors laser performance to the cutting process by managing the laser power, laser frequency and laser duty cycle in real time, i.e. laser power and axis feed in synchronisation. Burning and overheating are prevented even when cutting very tight angles at high speed. This function enables sharper edges and reduces cycle times by detecting sharp angles in the cut path and automatically setting the cutting speed and condition to suit. As well as producing better-cut surfaces, this feature increases throughput and machine performance. 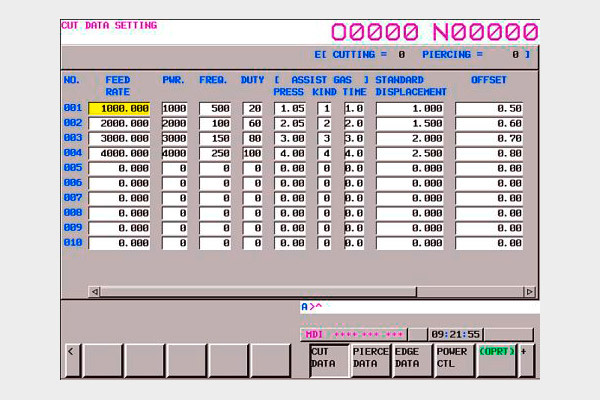 The Cutting Condition Setting function bundles and stores your machining parameters (otherwise separately specified using the laser power, -frequency, -duty cycle laser commands in an E code command table). This results in a clear part program structure and simplifies procedures, saving you valuable setup time on repeat jobs. This CNC feature enables the operator to monitor the status of the laser via a dedicated screen. 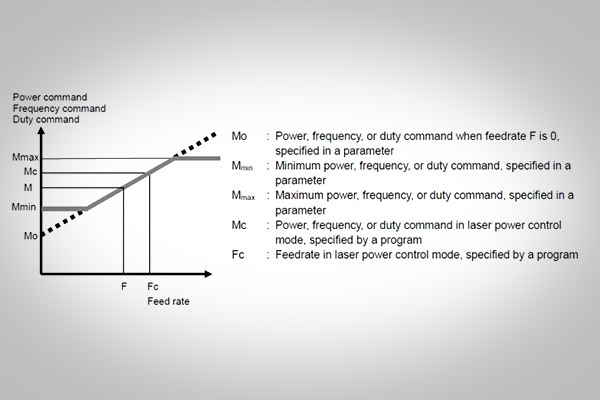 Ensuring consistent performance from the laser oscillator and increasing the machine's productivity, it also allows the operator to intervene and prevent damage to the oscillator should an error occur. If the machine does not compensate for beam divergence, the beam's cross-sectional dimensions at the lens alter the characteristics of the cutting tool. 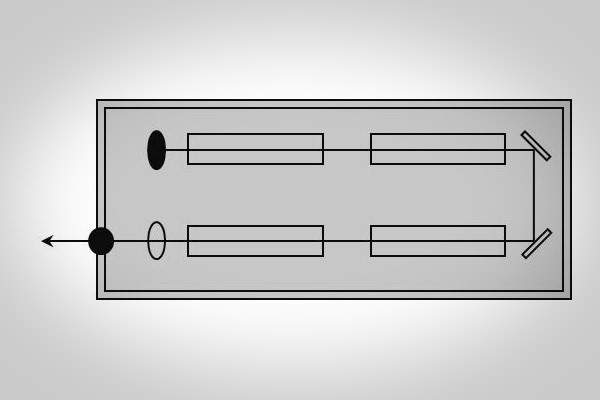 Beam Path Length Compensation ensures that the beam's cross-sectional dimensions remain consistent at the lens. Choose the dedicated multichannel FS30i-LB model CNC for 2-D and 3-D laser cutting machines or the cost effective FS31i-LB model CNC for standard 2-D laser cutting machines. Both CNC controls provide intelligent software solutions for effective and efficient laser processing and support powerful laser/punch combination machines. Integrated laser control and diagnostic functions predict the need for maintenance, guaranteeing maximum uptime and high productivity. FANUC laser guides the beam inside the laser cabinet, enabling the laser to be positioned closer to the workpiece. 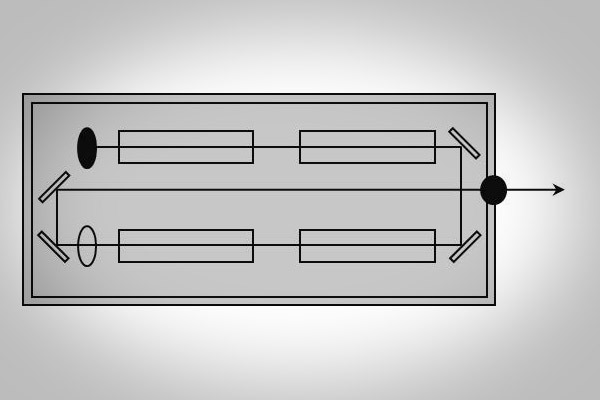 Resulting in a compact design this reduces the footprint of work cells. 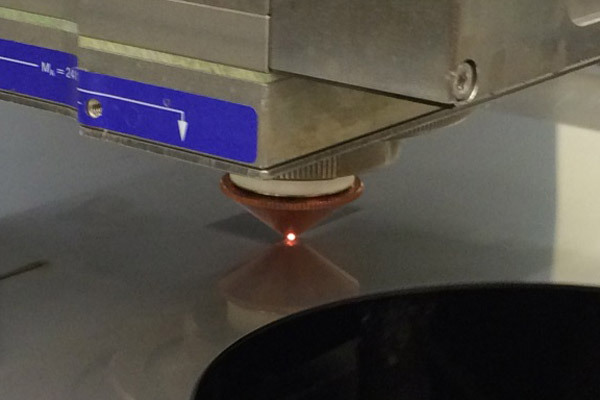 By installing the laser further away from the process, more beam length is available.